If a tiny workshop has prevented you from adding one of MakerBot's Replicator 3D printers to your toolkit, today is your lucky day. The company has announced a smaller version of its Replicator 3D printer—aptly called the Replicator Mini—with a smaller footprint, easy one-touch printing, and even a networked camera inside allowing you to remotely keep tabs on a print job in process. It will be available sometime this spring for $1,375. 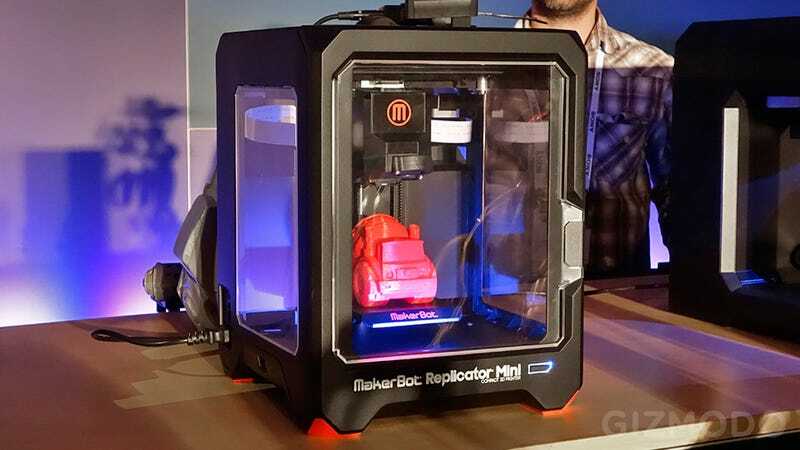 MakerBot also revealed an updated version of its flagship 3D printer, simply called the Replicator, instead of the Replicator 3. In addition to an eleven percent larger capacity, the new Replicator introduces a color LCD display, an easy to level printing plate, and an ethernet port for faster transfers of 3D models. It's available for pre-order now, and will set you back $2,899.